A new art exhibit shines a light on Seattle’s progress in becoming one of the nation's leading dementia-friendly cities. “You feel like you are being asked to understand their world,” said an onlooker standing in front of a painted landscape in The Artist Within: A Different View of Dementia at Seattle City Hall*. The exhibit, presented by the non-profit The Art of Alzheimer’s, with support by the UW Memory and Brain Wellness Center (MBWC), shows off artworks created by people living with Alzheimer disease and related conditions that lead to dementia. The organizations’ founder, Marilyn Raichle, drew the inspiration from her mother Jean McFee Raichle’s experience. She hopes the exhibit prompts viewers to remember that people living with dementia have creative strengths and stories to share. The paintings on display come from individuals in the community and those who attend art-based programs in Seattle, such as the Adult Day Center Elderwise and the studio art classes offered by the Frye Art Museum's here:now program. 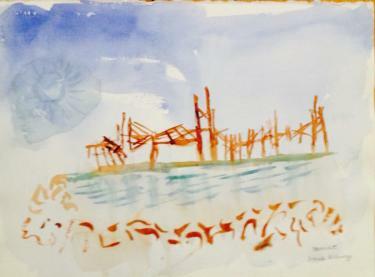 As exhibit visitors noticed, these classes often use watercolor painting. That’s because paint applied to wet paper spreads into visually striking shapes, bringing form from color rather than forcing someone with memory loss to make something happen on a blank page. Visitors walking through the exhibit had a variety of reactions. “What’s marvelous is that the artists haven’t overworked them, and chose just the right colors at the same time. There is spontaneity, and less inhibition,” said Seattle resident Mary Lou Brown, who came to see her husband Don Brown’s painting “Wind off the Prairie.” Others paused to reflect on the inner lives of the artists. “They make you wonder how much of the process is about doing what you used to be able to do—and how much is an effort to express your new experience and show what you can do,” said Seattle resident David Battisti. Indeed, some of the participants had been professional artists; others had never picked up a paintbrush before the diagnosis. For Seattleites interested in learning more about the brain’s enormous capacity for creativity in the face of cognitive decline, the Art of Alzheimer’s hosted a walking tour and discussion on January 13th led by Dr. Tom Grabowski, Director of the UW MBWC, Dr. Marcus Raichle, a visiting neuroscientist at Washington University in St. Louis and UW alum, and artist Anna Hostvedt. 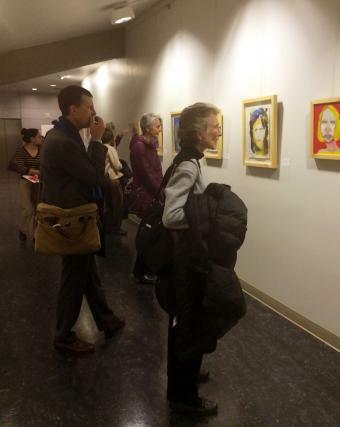 Seattle City Hall provided the exhibit space in the lobby and the Anne Focke Art Gallery on Level 2. Randy Engstrom, Director of the City of Seattle’s Office of Arts and Culture, remarks, “The Art of Alzheimer’s is what this City Hall gathering space is imagined to be at its best: a way of using art and culture to hold conversations about issues that matter.” The issue at hand is Seattle’s growth into one of the leading dementia-friendly cities in the nation, meaning an inclusive, supportive, and hopeful place for people living with memory loss. As this exhibit testifies, Seattle offers a wealth of dementia-friendly arts engagement programs, as well as opportunities for recreation, social connection and volunteerism. A complete list of these programs and events, from theatre improv workshops, to zoo walks, gardening groups, museum gallery tours and more, can be found at momentiaseattle.org. Alongside twenty-four community partners, Marigrace Becker of the UW MBWC helped Raichle pull off this exhibit as a member of the steering committee. As the Program Manager of Community Education and Impact of MBWC, Becker often observes the creative strengths of those living with memory loss, especially the ability to embrace the present, form new social connections, and create a legacy. “The dementia story does not need to be solely defined by fear, by shame, or loss,” says Becker, “but can also be a story of potential, connection, joy, and creativity,” mirroring how the exhibit challenges viewers to find more hope and less despair in the concept of dementia. *Starting Janurary 9, 2017, The Art of Alzheimer's exhibit will be on display at the UW School of Social Work. Learn more. Missed the Opening Reception on March 10th? You can find the short videos of the speakers on our YouTube Page. From different perspectives, they communicate the value of recognizing the 'artist within' people living with memory loss and dementia. The UW's Whole U also featured highlights of the Opening Reception talks, with photos. The dementia story does not need to be solely defined by fear, by shame, or loss, but can also be a story of potential, connection, joy, and creativity. 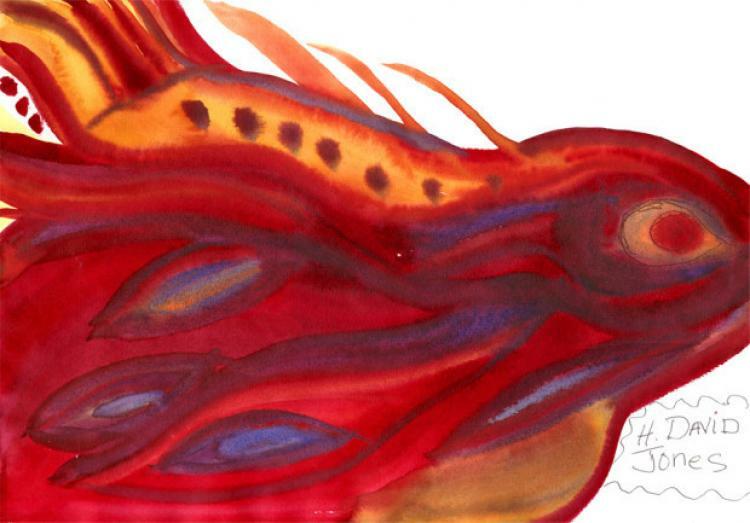 Encore of the Art of Alzheimer's Exhibit - Starting January 9th! Videos of the speakers at the Art of Alzheimer's Exhibit Opening Reception at Harborview Medical Center. UW's Whole U coverage of the Art of Alzheimer's Opening Reception talks, with photos. 'Art, Dementia, and Creativity': The Seattle Channel has the video of a recent panel discussion about the arts, creativity and dementia featuring our friends, colleagues…and us!